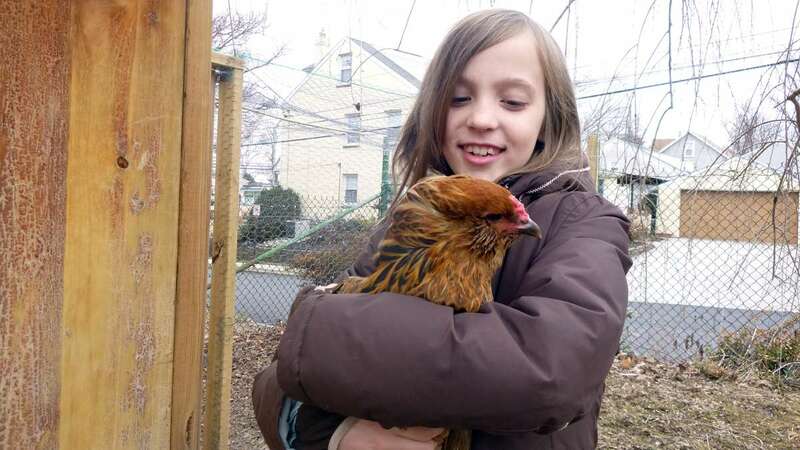 Raising chickens in suburban Philadelphia is not something state agriculture officials track, but they suspect interest in so-called “hobby flocks” is on the rise. WHYY’s Jennifer Lynn visited a flock that’s become quite dear to a family because one of the birds does things differently. 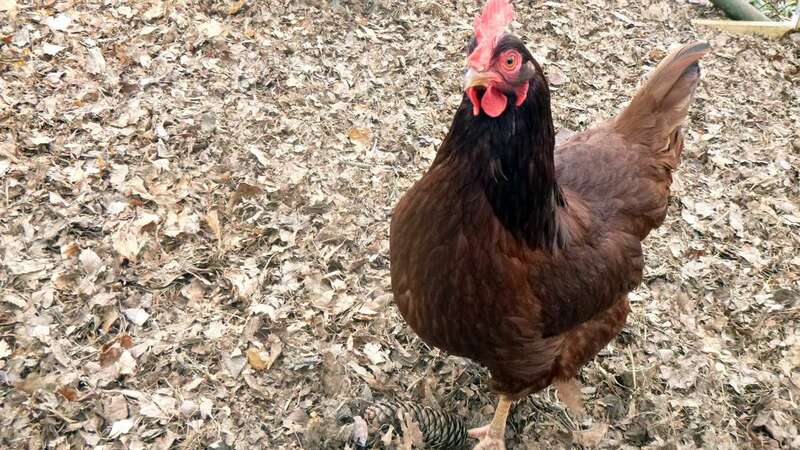 Raising chickens for their eggs and as pets in suburban Philadelphia is not something state agriculture officials keep track of, but they suspect interest in so-called “hobby flocks” is on the rise. The Marg-Bracken family lives in Bala Cynwyd. 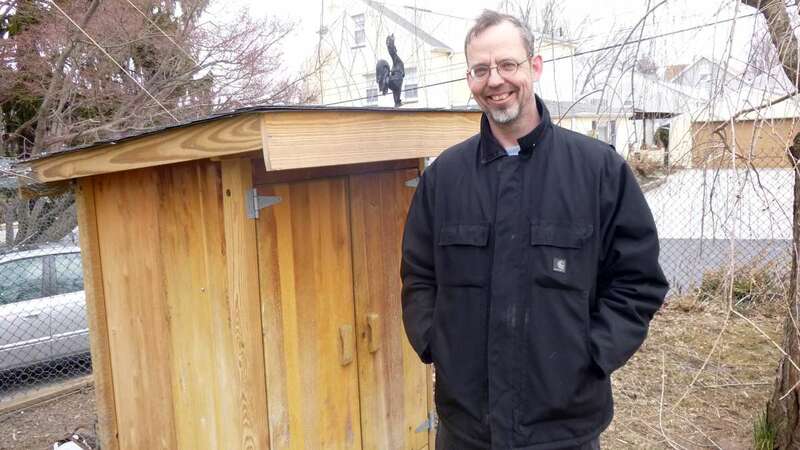 For about a year now, their routine has involved the daily care of three chickens, housed prominently in a corner of their backyard. The flock has become quite dear them because one of the birds does things differently. 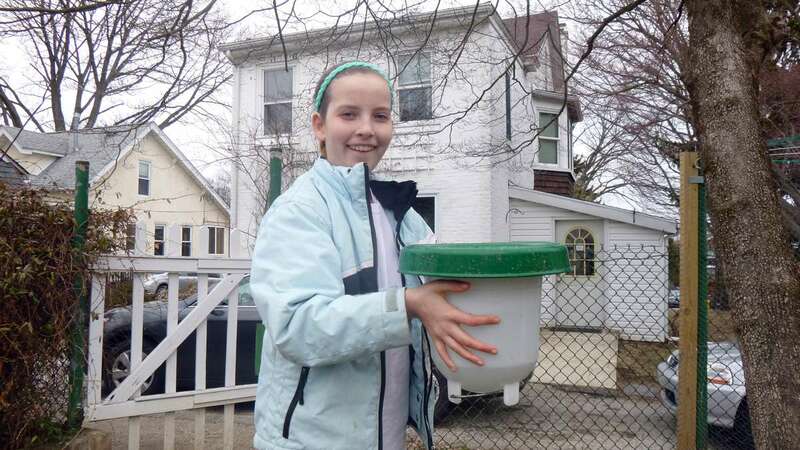 Marlena, 9, handles the morning ritual: releasing the feisty birds from their coop, an old hollowed out dresser with chicken wire and hardware from past projects. The family bought the chickens just before Easter last year. Big-sister Ariadne begged her parents to get them. The girls’ parents, Heather and Thilo, took a while to warm up to the idea of raising chickens — never mind cows — purchased as chicks from an area farm. Many months into the process, things have gone pretty well. “Once you have a fluffy little thing in your hand, you are hooked,” Thilo says. So are the neighbors, he says. Locals frequently pause in their driveway, amused by the flock. He says his township has fairly reasonable guidelines about housing the birds. Mostly, keep them away from other houses. And no roosters. On this morning, there are eggs. “We got an egg!” Marlena says. The flock has become quite dear to the family because Snuggles does things a little bit differently. Snuggles is special. The family nursed Snuggles back to health, but damage to the eye made it difficult for the bird to move around the coop, to roost and to eat. 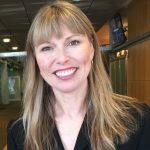 “When we figured out that Snuggles was just sitting down in the tray, then we passed the ‘Chicken Disabilities Act’ and had to make reasonable accommodations to get the chicken where it needed to be,” Thilo says. 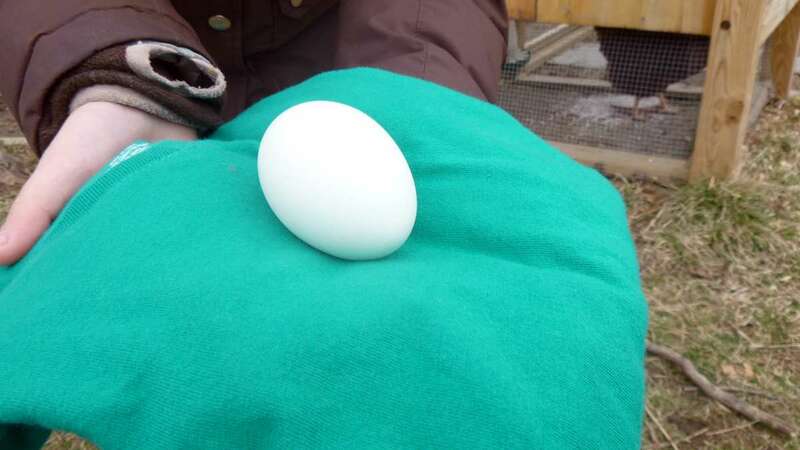 This included building steps and a ramp for Snuggles, who does just fine now and has become the pride of the flock because she lays those exquisite blue-green eggs, a telltale sign of the Ameraucana breed. 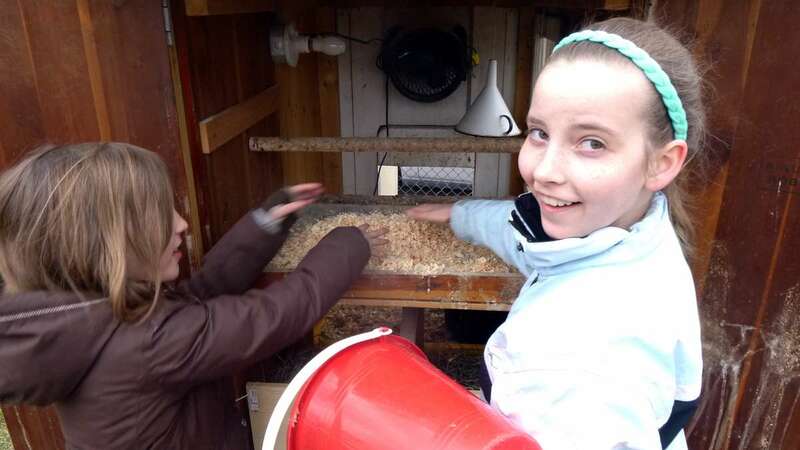 Heather and Thilo say having the chickens helps the girls learn that living things need more than food and water for survival. So be nice to chickens. They could rule the world one day.